Tanner Andrew Tabb died on 5 April 2000. He was born on 5 April 2000. He was buried after 5 April 2000 at Arcola Township Cemetery, Arcola, Douglas County, Illinois. Eliza Durocher married Richard Tabb, son of Thomas Tabb and (---?---) (---?---). Eliza Durocher was born in 1840 at Fausse Pointe, St. Mary Parish, Louisiana. She died on 14 November 1882 at Jeanerette, Iberia Parish, Louisiana. Georgina Bourlieu was born in 1864.1 She married Gustave NuMoon Tabb, son of Richard Tabb and Eliza Durocher, on 3 November 1881. Georgina Bourlieu was buried in 1942 at Immaculate Conception Cemetery, Charenton, St. Mary Parish, Louisiana.1 She died in 1942. 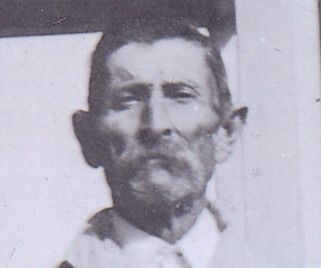 Gustave Joseph Tabb was born on 18 September 1882 at St. Mary Parish, Louisiana. He died on 7 January 1884 at St. Mary Parish, Louisiana, at age 1. Marie Louise Tabb was born on 1 November 1884 at St. Mary Parish, Louisiana. She married Edouard "Eddie" Lancon on 27 January 1902 at Franklin, St. Mary Parish, Louisiana. 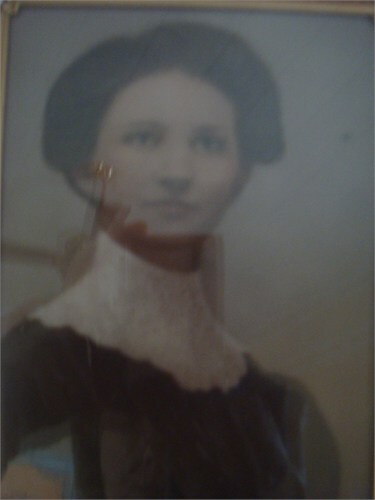 Marie Louise Tabb died on 10 June 1915 at Jeanerette, Iberia Parish, Louisiana, at age 30. Mary Josephine Tabb was born on 13 March 1886 at St. Mary Parish, Louisiana. Celina Augustine Tabb was born on 9 May 1888 at St. Mary Parish, Louisiana. Aliee Alice Tabb was born on 1 December 1892 at St. Mary Parish, Louisiana. Louisa Adeline Tabb married Warren Leo Melancon Sr. Louisa Adeline Tabb was born on 8 October 1895 at Louisiana. She died on 11 January 1972 at Jeanerette, Iberia Parish, Louisiana, at age 76. Emile R. Tabb married Cecilia (---?---). Emile R. Tabb was born in 1904 at St. Mary Parish, Louisiana. He was buried in June 1989 at Greenwood Cemetery, New Orleans, Orleans Parish, Louisiana. He died in June 1989. Margaret Callahan was born on 18 December 1916 at Patrick County, Virginia. She married William Lively Tabb Jr, son of William Lively Tabb and Alice Taliaferro Lear, in 1960. Margaret Callahan died on 8 July 2002 at Newport News, Virginia, at age 85. She was buried after 8 July 2002 at Peninsular Memorial Park, Newport News, Virginia. Robert Lively Tabb was born on 1 October 1961 at Newport News, Virginia. He died on 13 November 1994 at Newport News, Virginia, at age 33. He was buried after 13 November 1994 at Peninsular Memorial Park, Newport News, Virginia.